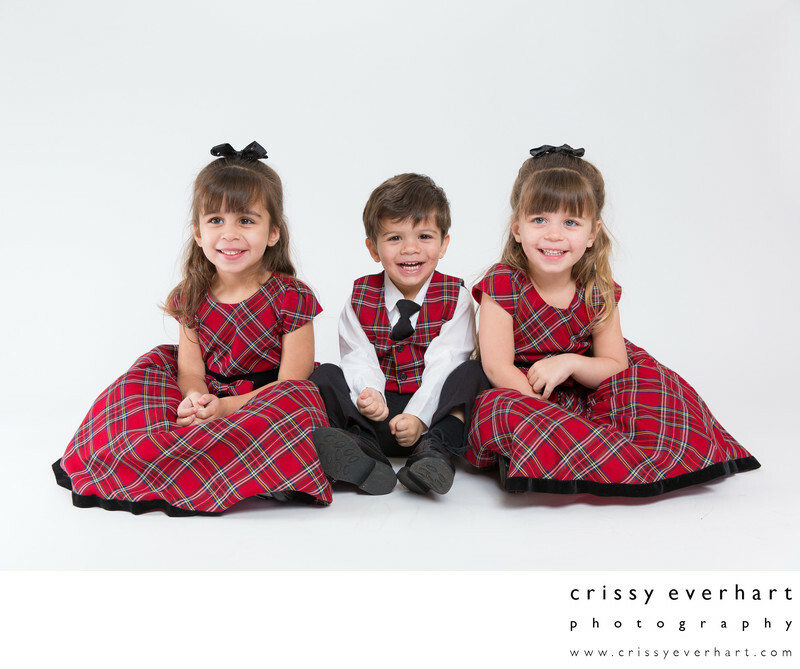 Three siblings, twin girls and a toddler boy, are dressed in matching plaid outfits for their holiday portrait session. 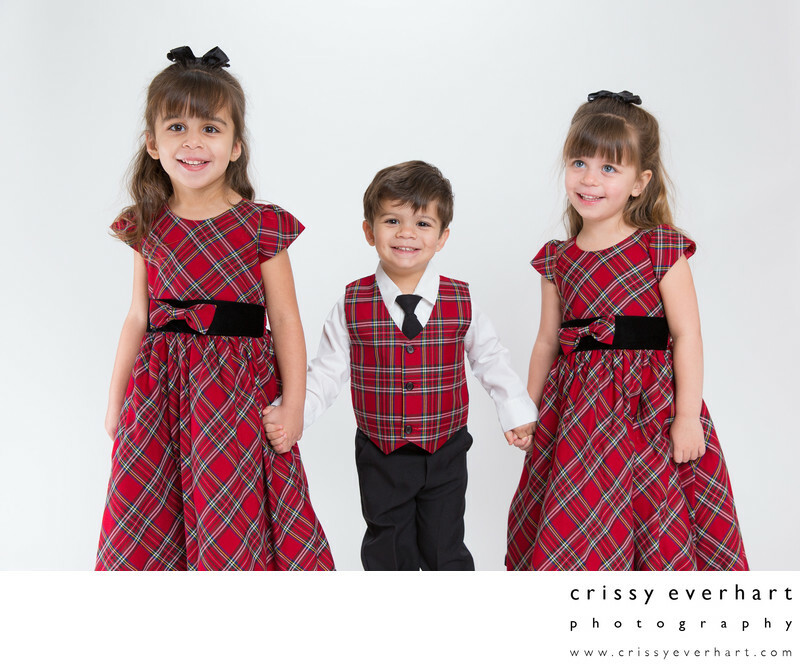 I don’t usually recommend all the subjects wear plaid, but in this case, it works because the outfits are the same pattern (and the girls are twins) and they are on a plain white backdrop. I love how you can see each of their unique personalities in their expressions. Portraits taken on the white backdrop are timeless, and even in holiday attire, they can be displayed in your home year round and will never go out of style.